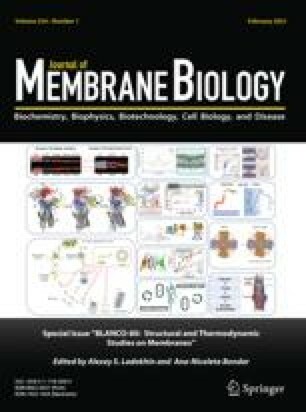 Some model membranes and biological membranes behave as if ion permeation were controlled by fixed neutral sites, i.e., by groups that are polar but lack net charge. By solving the boundary conditions and Nernst-Planck flux equations, this paper derives the expected properties of four types of membranes with fixed neutral sites: model 1, a membrane thick enough that microscopic electroneutrality is obeyed; model 2, same as model 1 but with a free-solution shunt in parallel; model 3, a membrane thin enough that microscopic electroneutrality is violated; and model 4, same as model 3 but with a free-solution shunt in parallel. The conductance-concentration relation and the current-voltage relation in symmetrical solutions are approximately linear for all four models. Partial ionic conductances are independent of each other for a thin membrane but not for a thick membrane. Sets of permeability ratios derived from conductances, dilution potentials, or biionic potentials agree with each other in a thin membrane but not in a thick membrane. The current-voltage relation in asymmetrical single-salt solutions is linear for a thick membrane but nonlinear for a thin membrane. Examples of potential and concentration profiles in a thin membrane are calculated to illustrate the meaning of space charge and the electroneutrality condition. The experimentally determined properties (by A. Cass, A. Finkelstein & V. Krespi) of thin lipid membranes containing “pores” of the anion-selective antibiotic nystatin are in reasonable agreement with model 3. Tests are suggested for deciding if a membrane of unknown structure has neutral sites, whether it is thick or thin, and whether the sites are fixed or mobile.